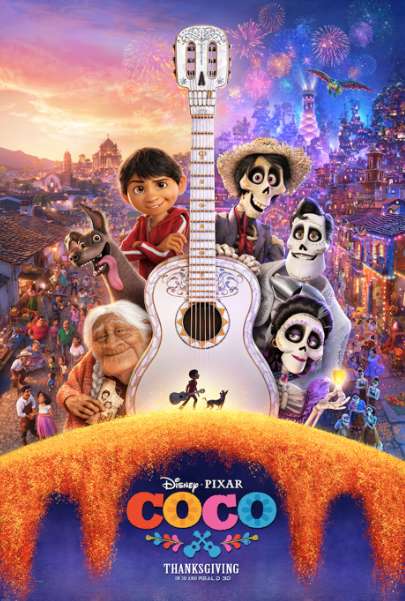 Check out the new poster for Disney•Pixar Coco, coming to theaters this Fall. The all new Disney•Pixar's Coco is almost here! Just a little over two months, and we'll be able to voyage into a world beyond, literally. I can't wait to see this movie, inspired by one of my favorite Holidays in the world. Check out the new movie poster, and come back tomorrow for a cool new film feature. Don't forget to follow us through social media(links on blog's right sidebar) to be up-to-date with everything you need to know about Disney•Pixar's Coco, and more. Woke up to glitter, rainbows, and loads of fun!